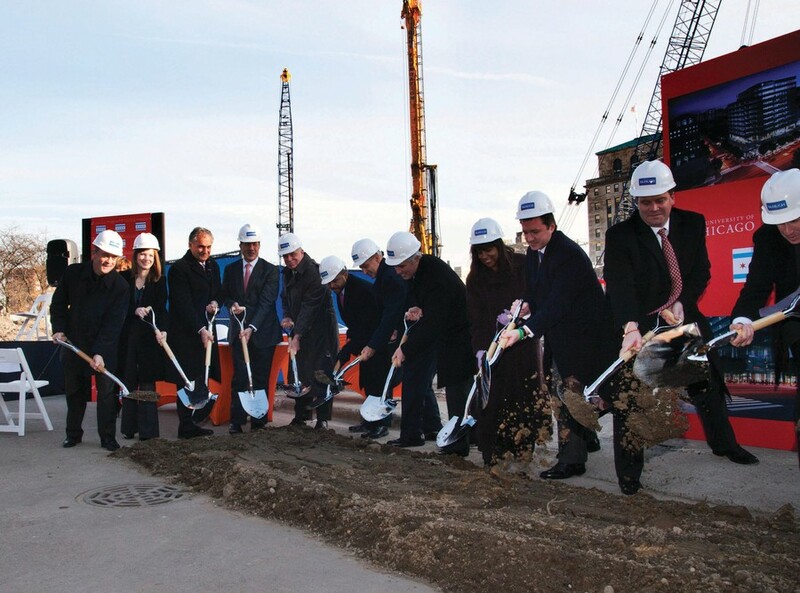 Donors, developers, and supporters break ground at the Harper Court development on 53rd Street Tuesday afternoon. Donors, developers, and supporters break ground at the Harper Court development on 53rd Street Tuesday afternoon. The University-backed development aims to bolster Hyde Park commerce.